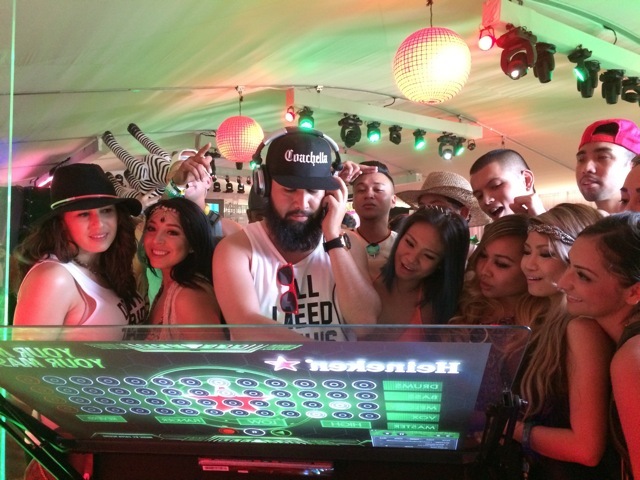 Thanks to REMIXperience, guests and brands rocked out Coachella 2015’s Heineken House in more ways than one. It also helped the Toronto International Film Festival get its groove on. The DJ remix station from Shok Kreative, a digital marketing agency, is basically a holographic console that invites guests to become a DJ — no experience necessary. The touch-screen activation, built on Emulator technology, is programmed with music, sounds and customized branding. Guests first enter their email before choosing songs and beats to mix their sample. The file is uploaded to a Soundcloud for sharing. For brands, it’s an engaging way to capture guest data and follow up. “Marketing today is about experiential in-the-moment touch points between guests and brand,” says Shok Kreative’s Alan Smithson. “The REMIXperience interaction taps directly into guests’ senses: sound, sight and touch.” In addition to the remix station, the agency creates content for other cutting-edge activations, including virtual reality technologies, 3D projection mapping and animation, and 360-degree video.